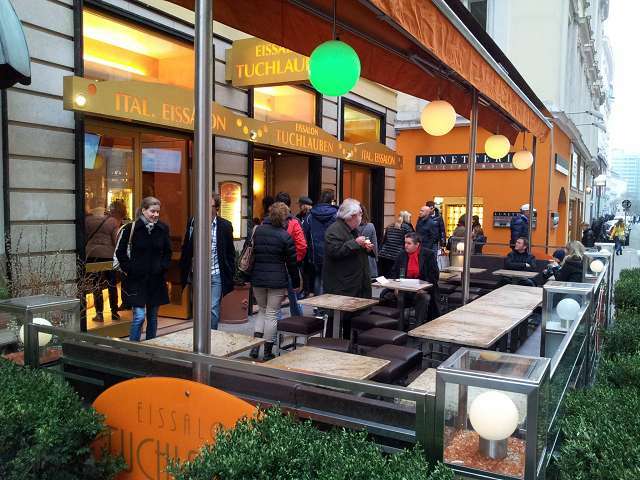 This is quite sure one of the most known and also one of the biggest ice cream shops in the city center. Here you get throughout the whole year especially creamy milk ice cream and delicious fruit ice cream. You can enjoy it either at a huge terrace or also in a big area inside which spreads besides the ground level also over the basement. Due to this generous space offer it should never be necessary to wait too long for a free table. The waiters take your order with an electronically ordering system and usually you get your ice cream or Profiteroles quite fast after you placed your order. Together with your served ordering you receive also a bon. With this bon you can pay at the cash desk in the exit area. Additionally to ice cream you get here also several Italian pastries, crepes, breakfast and different snacks. 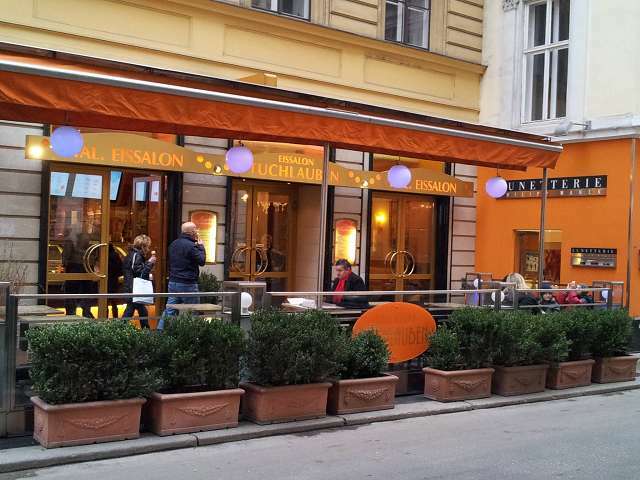 The ice cream shop at the Tuchlauben is very often mentioned as one with the best ice cream in Vienna. Especially those who like their ice cream not too creamy will prefer this place. The very popular shop is unfortunately small inside and also the terrace in front of the building offers space for just a few tables. Due to that it can happen that you have to wait for a free table. If you have overcame this obstacle you can choose out of a broad offer of different ice cream creations and types. Usually the service of the waiters is rather fast. At this small ice cream shop you have no possibility to sit down at a table. Here you can have your ice cream only for take away from the counter. But this minor disadvantage is acceptable. They only use natural ingredients and biological milk for their in house ice cream production. 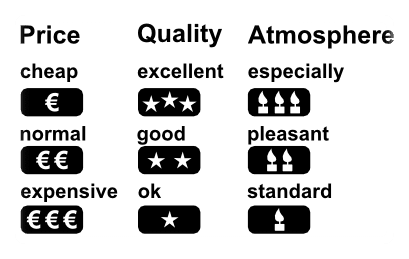 The high quality of the used ingredients is mirrored in the outstanding taste. Besides milk ice creams you get also here some types which are vegan. To get a portion of these delicacies you need most times to line up in a long queue. But the waiting time which you need here is a good investment here. 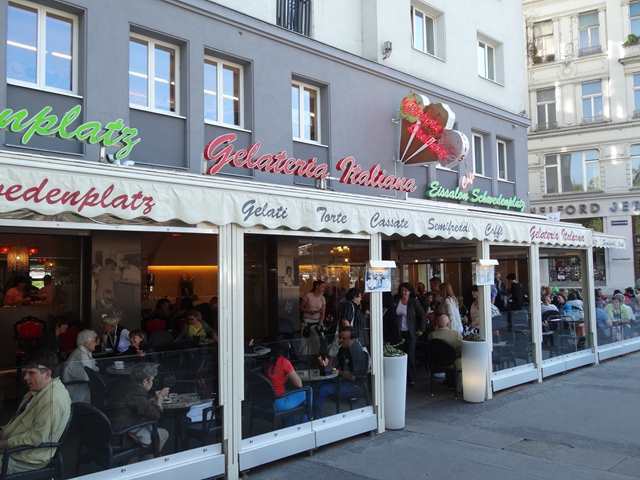 This ice cream shop is located directly at the corner Rotenturmstrasse - Schwedenplatz. The front of the building is impressive due to the huge arches and the complete glazing. Due to that the bright interior together with the modern interior appears very inviting. 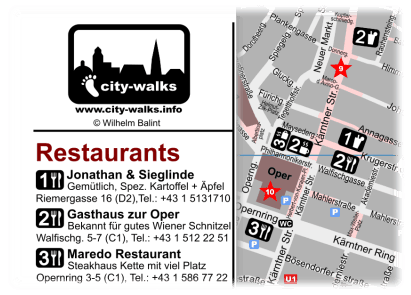 Outside you have the possibility to sit on the terrace at the Rotenturmstrasse or at the Schwedenplatz below the shades of big trees. Typically Italian you can find also some chairs in front of the shop where you can eat your ice cream from the counter. In addition to several ice cream types you cannot only have some pastries but also a selection of hot dishes meals. If the shop is crowded you should also calculate longer waiting time for your order. The origin of this ice cream shop is a family business which offers frozen delicacies in Vienna since more then a century. The shop at the Schwedenplatz is not located at one of the nicest places in the city center but at least there is a wide pedestrian area in front of the building. With a bit of luck you should be able to get a table at the terrace and you can watch the people passing by from the metro and tram station. Several ice cream specialists praise the quality and taste of the offered ice cream and some even rate it as the best in the city. Especially if you like creamy ice you should come here. Anyway the rush of customers confirms the different positive critics.